I had been wondering if Sucker Punch would find a better life on home video. Seems it doesn't. 112 minutes were taken from my life and spent in absolute boredom. A short-flick of 40 minutes would have completely sufficed to transport the message "It's the end of the world as we know it" and "All hope is lost, but we're not going to accept this unto our last breath". Come to think of it, a splash screen showing these two lines of text would have possibly been even more impressive. For me it's even more implausible than "The Book of Eli"
The mother (Charlize Theron) picks option 2 when realizing that the battle for the remaining resources would sooner or later lead to becoming a resource. The father picks option 1 and subsequently dies when realizing that really, as was to be expected, all hope is lost. The kid has no chance of picking an option since all relevant decisions are made by it's parents and the first time it is given some responsibility it utterly fails. But as a short it would have passed even more unnoticed. The technical aspects aren't that promising either. Granted, it is beautifully photographed. But what are these flashes of action sequences supposed to mean? They are not connected to the rest of the storyline and stand out as random intermissions of external motivators. Probably they are only there to prevent the audience from sinking into sleep too deep? This is sad, because the cast is outstanding and they all are doing their best to work against the weakness of the script. If really all hope is lost, which of the two options would I pick? Avoid this under all circumstances. I quite liked it and while I can understand some of the flaws you (and others) point out I still found it an interesting watch with an ending that I still think about now sometimes. I don't remember the action scenes sticking out awkwardly to me either. But obviously these things arer subjective and will vary from viewer to viewer. 1 star? [...] Films have to be so bad I find them offensive to rate them so low! 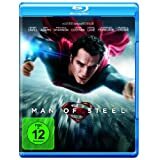 A young itinerant worker (Henry Cavill) is forced to confront his secret extraterrestrial heritage when Earth is invaded by members of his race. Now I never ever want to hear anything bad about Tarantino again while on the same time celebrating Snyder as the health-bringer of modern cinema. Snyder is using so many quotes in this flick that its hard to find anything he did on his own. Even worse he is trying to sell us these quotes as his own ideas. As example let us take the opening sequence which is a wild mixture of Star Trek (2009), Taxi, The Fifth Element, Matrix, Gladiator (similarities found not only because of Crowe), etc. At least he didn't copy from bad movies. The acting is overall terrible. The whole cast is constantly looking like asking themselves "What the hell are we doing here?" Michael Shannon whom I adore since his appearance in "Take Shelter" is overacting so much that it's already on the funny side. Henry Cavill, who showed us in "The Tudors" and "Whatever Works" that he is quite capable of acting, obviously wasn't allowed to show any of his capabilities here. Don't even get me started about the most bored appearances of Costner, Crowe and Lane. I didn't expect "Man of Steel" to be comparable to "The Dark Knight", even though Nolan was involved in MoS too, after all Superman was (to me) always the boring sidekick of Batman. He is always so clean you could use him to do your washing. What I did expect though was a kind of decent story. Sadly the whole "storyline" is only an excuse to put as much (partially only mediocre) CGI into a feature as possible. And again most of the destruction sequences looked like a replay from several other disaster movies (If there was any justice "The Avengers" and "War of the Worlds" should have been mentioned in the credits). Obviously Snyder is continuing his path to meaningless CGI-fests. I loved his work in "300" and "The Watchmen" but found "Sucker Punch" absolutely unbearable. Now after this rather disappointing experience with MoS, I'm sure it will take a loooong time until I will watch one of his movies again. 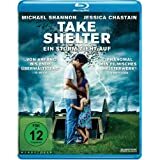 Plagued by a series of apocalyptic visions, a young husband and father (Michael Shannon) questions whether to shelter his family from a coming storm, or from himself. This movie comes like a hard punch into the belly. Don't want to say to much about the storyline, because this is too easily spoilered. 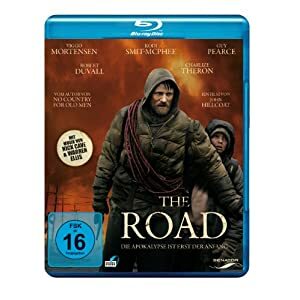 In fact there is not much happening in this film, it is more a very intense character-study (brilliantly delivered by Michael Shannon) of a man threatened by either the Apocalypse or mental insanity. But the way how things do not happen is simply breathtaking, the pictures are of an enormous intensity and beauty. The acting is of an intensity you don't often get to see nowadays. Give it a try it's worth it. The trailer already gives a good hint on the oppressive atmosphere of this film. 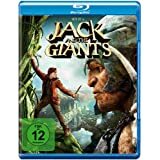 The ancient war between humans and a race of giants is reignited when Jack (Nicholas Hoult), a young farmhand fighting for a kingdom and the love of a princess (Eleanor Tomlinson), opens a gateway between the two worlds. Here we have a nice adaptation of an old story and since the screenwriters didn't change too much of the original this leaves enough time to enjoy the pictures. I'd really love to write a more enthusiastic review, since I really enjoyed this flick, but, in fact, it is not an outstanding movie. You get decent acting, decent CGI, decent photography, decent directing, ... decent everything ... All "decent" but I couldn't avoid the impression that most of the participants were there for the money and not for the fun of it. Now while the thing as such may be quite common, it doesn't happen too often that this is becoming obvious to the viewer when watching the movie. Overall an entertaining movie for a family-friendly DVD-evening. But that's about it. Although it was unremarkable it was enjoyable. I didn't get any 'they are in it for the money' but did get that *something* was missing. Much like 'Oz the Great and Powerful'. I get the feeling they weren't all on the same page. 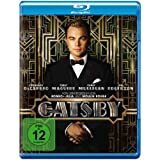 An adaptation of F. Scott Fitzgerald's Long Island-set novel, where Midwesterner Nick Carraway (Tobey Maguire) is lured into the lavish world of his neighbor, Jay Gatsby (Leonardo DiCaprio). Soon enough, however, Carraway will see through the cracks of Gatsby's nouveau riche existence, where obsession, madness, and tragedy await. First of all I haven't read the novel by Fitzgerald, so this review will not be about the adaptation of the original material, just about the film itself (with a little comparison to its predecessor from 1974). Sometimes Directors (and casting bureaus) are lucky because they can hire the best possible cast for their project. This was correct for the 1974 version (Redford / Farrow) and is so even more for Baz Luhrmann's attempt. DiCaprio is not playing Gatsby, he is Gatsby. Maguire has it easy, since he even looks (a bit) like F. Scott Fitzgerald, and is definitely on his way to becoming a great actor that has more to offer than his boylike, astounded face. I was a bit skeptical about how Carey Mulligan would do as Daisy, but what a performance she delivers. Joel Edgerton, who for me up to now was more something like the ante-type of a second-row supporting actor with muscles, as Tom Buchanan, he too is giving us an outstanding performance. Luhrmann doesn't limit himself to simply re-doing the 1974 version, he is adding and re-interpreting to each and every role and thereby is making the persons and their backgrounds more realistic. Just like the 1974 version this is a slow-paced movie, and this is good because the story and the characters deserve and need this. I think it is time to read the novel too. Dolph Springer (Jack Plotnick) wakes up one morning at 7:60 to realize he has lost the love of his life, his dog, Paul. During his quest to get Paul (and his life) back, Dolph radically changes the lives of others ... risking his sanity all the while. Quentin Dupieux did it again and even more. If you thought that Rubber was weird you'd have to find new words for "Wrong". The feature could be called Dadaistic if there wouldn't be something like a plausible main-story as a basis (even though this may stretch "plausible" a bit). It could be called "Comedy", but only in the classical meaning (Play with an happy ending). Most of all it seems to be an LSD-trip for the eyes, it has (like "Rubber") extremely powerful and well-composed pictures, which nevertheless never seem to make any sense, or (come to that) add anything to the main-story. Strangely though, this feature is highly entertaining and the (roughly) 90 minutes pass "in no time at all". So if you expect a movie to move in a straight line from the beginning to the end, skip this one. But if you are willing to watch a dream come true (and this is not meant in the fairytale meaning, but translates to: abrupt jumps on the timeline (all directions!) combined with surreal locations, situations and actions), give "Wrong" a chance. After all, the title really says it all. The Counselor (Michael Fassbender) is about to get married to his fiancée (Penélope Cruz) but soon becomes entangled in a complex drug plot with a middle-man known as Westray (Brad Pitt). The plan ends up taking a horrible twist and he must protect himself and his soon to be bride as the truth of the drug business is uncovered and targets are eliminated. A new film by Ridley Scott ... with an Allstar-Cast (Fassbender, Pitt, Bardem, Diaz, Cruz, ...) ... and even a Thriller, now how could this go wrong? Don't know how, but it did. Being a film by Ridley Scott it did this with a certain grandesse though. This film is like someone smashed a mirror, picked up the pieces and tried to re-assemble a mirror. Means: Even with all the shards being in the correct position the picture you will see will always be disturbed by the outline of the shards. The film tries to tell its story with this fragments. The problem is: Many (important) fragments are missing, others are not placed in the correct position, some even seem to originate from another mirror. Each fragment shows a beautifully photographed scene, they just don't add up to show a complete picture. And in this regard this movie is even worse than the original cut of "The Blade Runner" which at least had a Narrator to put the fragments into context. An interesting concept, with some great acting, that sadly got messed up in the editing room. You should write reviews more often!